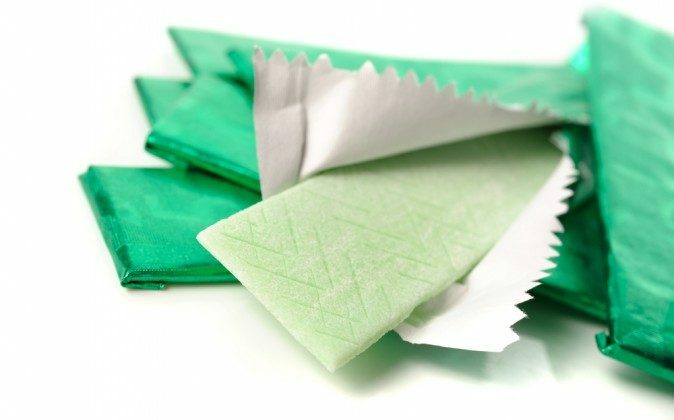 Most public health agencies and nutritionists in the United States still recommend no- or low-calorie artificial sweeteners as an acceptable, and even preferred, alternative to sugar. This flawed advice can have very serious repercussions for those who follow it. Artificial sweeteners of all kinds have been found to wreak havoc with your health in a number of different ways. Aspartame, which is perhaps the worst of the bunch, has a long list of studies indicating its harmful effects, ranging from brain damage to pre-term delivery. Aspartame is also the number one source of side effect complaints to the US Food and Drug Administration (FDA), with over 10,000 complaints filed and over 91 documented symptoms related to its consumption. Most recently, studies are also starting to confirm lingering suspicions that artificial sweeteners like aspartame may play a role in the development of Alzheimer’s disease, a serious form of dementia that is now thought to kill over half a million Americans each year. The key mechanism of harm appears to be methanol toxicity—a much-ignored problem associated with aspartame in particular. In a previous interview, toxicology expert Dr. Woodrow Monte (author of the book While Science Sleeps: A Sweetener Kills), explained the links between aspartame and methanol toxicity and the formation of formaldehyde. In light of the latest research, this interview is more relevant than ever, which is why I included it again. A recently published two-part paper highlights what Dr. Monte has been saying for many years now—that methanol acts differently in animals and humans. In this case, the researchers also discovered changes in effect between mice and rhesus monkeys. “A recently established link between formaldehyde, a methanol metabolite, and Alzheimer’s disease (AD) pathology has provided a new impetus to investigate the chronic effects of methanol exposure. Most notably, the presence of amyloid plaque formations in the monkeys highlighted a marked difference in animal systems used in AD investigations, suggesting that the innate defenses in mice against methanol toxicity may have limited previous investigations into AD pathology. The artificial sweetener industry (and makers of artificially sweetened products) has fervently claimed that aspartame is harmless, and that there’s “no biological explanation” for the health problems reported by so many after consuming aspartame. But as explained by Dr. Monte, there is indeed a biological and scientific explanation for aspartame’s pathway of harm, and as the latest research suggests, it’s related to the effects of methanol and formaldehyde, both of which are extremely toxic. Aspartame is primarily made up of aspartic acid and phenylalanine—the latter of which has been synthetically modified to carry a methyl group. This is what provides the majority of the sweetness. That phenylalanine methyl bond, called a methyl ester, is very weak, allowing the methyl group on the phenylalanine to easily break off and form methanol. Problem number two relates to the fact that humans are the only mammals who are NOT equipped with a protective biological mechanism that breaks down methanol into harmless formic acid. This is why animal testing of aspartame does not fully apply to humans. According to Dr. Monte, the fact that methyl alcohol is metabolized differently in humans compared to other animals has been known since 1940. And according to the featured paper, rhesus monkeys do not appear to have the same defenses against methanol toxicity as mice do. This basically negates much of the animal research that has been used to “prove” aspartame’s safety. As explained by Dr. Monte, in humans, methanol ends up acting as a Trojan horse, allowing toxic formaldehyde to wreak havoc in some of your most sensitive areas, such as your brain. Here’s how it works: both animals and humans have small structures called peroxisomes in each cell. There are a couple of hundred in every cell of your body, which are designed to detoxify a variety of chemicals. Peroxisome contains catalase, which help detoxify methanol. Your cells also contain alcohol dehydrogenase (ADH), which converts methanol to formaldehyde. Other chemicals in the peroxisome in turn convert the formaldehyde to formic acid, which is harmless—but this last step occurs only in animals. Human peroxisomes cannot convert the toxic formaldehyde into harmless formic acid. Certain locations in your body, particularly in the lining of your blood vessels, and in your brain, are loaded with ADH that converts methanol to formaldehyde. But since there’s no catalase present, the formaldehyde does not get converted into harmless formic acid. As a result, the formaldehyde is free to do enormous amounts of damage in your tissues. Symptoms of methanol poisoning include: headaches, ear buzzing, dizziness, nausea, gastrointestinal disturbances, weakness, vertigo, chills, memory lapses, numbness, and shooting pains in the extremities, behavioral disturbances, and neuritis. The most well known problems from methanol poisoning are vision problems including misty vision, progressive contraction of visual fields, blurring of vision, obscuration of vision, retinal damage, and blindness. Formaldehyde, in turn, is a known carcinogen that causes retinal damage, interferes with DNA replication, and may cause birth defects. As I’ve discussed in previous articles, processed foods should be avoided as a proactive Alzheimer’s prevention strategy. In his book, Grain Brain, neurologist Dr. Perlmutter reveals how the toxic activity of sugar and carbohydrates in your diet promote Alzheimer’s disease. But we can also add methanol to the list of reasons for avoiding processed foods. Not only do many processed foods contain artificial sweeteners, but when fruits and vegetables are canned, for example, the methanol becomes liberated from the pectin. At room temperature, it only takes one month for 10 percent of the methanol to be released. After about six months, virtually all of the methanol is liberated. Dr. Monte is convinced that methanol and the subsequent conversion to formaldehyde from certain processed foods (see listing below), as well as all foods containing aspartame, are a major culprit in a variety of diseases, especially multiple sclerosis (MS). Are ‘Natural’ and Low-glycemic Sweeteners Healthful Alternatives to Sugar? The American Heart Association (AHA) recommends no more than 100/150 calories of added sugar daily for women/men, respectively.